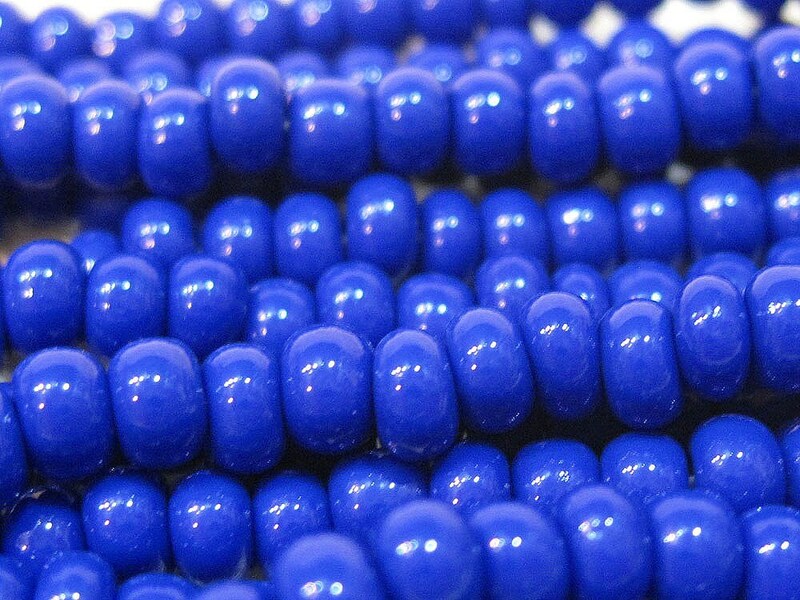 Blue Opaque size 6/0 Czech glass seed beads. Size 6/0 beads measure about 3.4mm (also referred to as E-beads). There are about 12 grams of beads on a 19 inch strand, about 9 beads per inch....that's around 175-185 beads!. Plenty of beads for your beading, knitting, crochet, fiber arts projects! Deep, fine ultramarine blue color. Not royal blue but close. Bright yet deep blue. Recommended. Arrived very quickly and is even better than pictured! Perfect size! Perfect price! Fast ship!